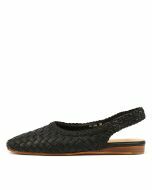 This wonderfully woven slingback is the perfect summer shoe. Composed of soft leather, this is a breathable design that's fun and feminine! 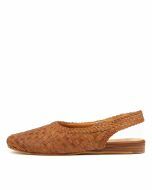 With a braided trim and natural, stacked sole, this shoe is a gorgeous seasonal style.